Guest Post from Joanna Campbell: How I approach my writing. I’m delighted to welcome Joanna Campbell to my site today. This is a truly fascinating blog about her journey into the world of words and storytelling. Eight years ago, after being a housewife for many years, I completed a proofreading course, but proved spectacularly unsuccessful at securing any work. No one wanted to hire ‘an inexperienced woman who had never worked in the industry and had merely read a couple of text books and done a few exercises’, one weary-sounding, hard-bitten publisher—quite rightly—told me. However, I knew I wanted to work with words. I had always written poetry—and then a novel which I slid under a wardrobe and left to grow a cocoon of cobwebs—but felt drawn to the short story form because I had always loved reading them. I had not yet learnt how to use a computer properly, having written the novel using voice-activated software, so the process of hauling myself into the twenty-first century and teaching myself new skills was hugely exciting. After years away from the world of work, I couldn’t even pour water out of a boot with instructions on the heel, but I did begin to believe that, from my desk at home, I could try to reach people, or even touch just one person out there. It was—and still is—all about entertaining people with the written word. I began writing stories for the women’s magazines and was given encouraging feedback for my earliest stories, but publication took a little longer. I didn’t mind the wait because I was expecting to try, try and try again. I was given helpful snippets of feedback when a story was judged a ‘near miss’ and I taught myself from those. Above all, I needed to find my own ‘voice’ as a writer, that ‘matchlessness’, or individuality, that has attracted me as a reader to my favourite authors over the years. I have an aversion to the concept of ‘genre’ and the obsession with marketable trends. I love reading anything which appeals as I browse through the bookshops or library, discovering wonderful authors regardless of their category or popularity. I enjoy the writing process so much that publication is not the only goal. The greatest value comes from practising the craft, day in and day out, even crawling out of bed at four in the morning to make a start because I can hardly wait. (I learnt to type, although I am still slow and my daughters love to do impressions of me hunched over the keyboard and peering at the screen.) From day one, it was more about improving than succeeding, more about showing up every day than seeing my work in print. Once I began to believe in my writing, I began making sales. Along the way, I also discovered short story competitions and have entered hundreds over the years. The thrill of reaching a shortlist never diminishes and when a story does not succeed—which happens often—I revise it and submit it elsewhere. Many of my stories have reached a shortlist after two or three attempts. One judge might not be enthralled by a story and place it on the ‘no’ pile, yet the same story could manage to captivate another judge and soar straight to the top. When a story is rejected by a publication or is unplaced in a contest, I allow myself five minutes to wallow in disappointment. It is natural to feel a twinge of hurt and frustration when you have invested so much time and emotion into a creative piece and sent it away with great hope. However, there is no point in dwelling. Rejection is a brief setback, not a comment on the story’s worth, nor a personal rebuff, just an integral part of writerly life. I have received enormous value from entering competitions. Not only have they brought me into contact with hundreds of supportive writers, many of whom have become friends, they have also secured me both a publishing contract and representation by a literary agent. I entered my first novel, ‘Tying Down The Lion’ in a competition run by Cinnamon Press and it reached the top ten, narrowly missing the final five. This boosted my confidence and encouraged me to send it to independent publisher, Brick Lane, who took it on and released it in paperback last year. It went on to be longlisted in the Guardian’s ‘Not the Booker’ prize. After one of my stories became a runner-up in the Ink Tears annual competition, I was informed that Ink Tears, who are great supporters of the art of short story-telling, were about to venture into publishing and did I have a collection they could take a look at? This was a dream come true for me, since I had a large number of stories with the unifying theme of ordinary lives slipping out of kilter, similar to the way a turn of the kaleidoscope alters our perception and causes a sense of disorder. As a result, ‘When Planets Slip Their Tracks’, my first collection of short stories, was published in January 2016 in a beautiful hardback edition, as are all the Ink Tears books. When my story, ‘Upshots’, won the London Short Story Competition in 2015, one of the judges was the literary agent, Elise Dillsworth. When she offered to represent me, yet another dream come true. And although a little good luck does play its part when dreams become reality, I would strongly advocate submitting work regularly and writing consistently, every day if possible, in order to assist the magic bullet to hit the target. The hardest part about writing is starting. I often procrastinate. My husband, when passing my desk on the way to his, has spotted me engrossed in articles about Tibetan bandits or the history of the Navel orange. I tell him they are for research, but I believe they are digressions. As soon as I have written a few words, I wonder why I felt the need to put it off. The writing is definitely not the hard part, but thinking about writing is horrendous. That is the time the sting of self-doubt and thoughts of ‘shouldn’t I be mopping the floor/sending emails/tickling the cat/going for a walk in the fresh air instead?’ start to niggle. The answer is to swat these moments of insecurity away like wasps, get a grip and press on with it. After all, the worst that can happen is that I loathe every word and delete it all. But in the process, I will have learnt something about my writing in general and something specific about my work-in-progress. I will have made no tangible progress, but by discovering which aspects have not worked I will have taken a giant step forward. This is why I never keep a word count. Although a tally can provide a motivational target, I prefer to aim for maximum satisfaction. After a less successful writing day, I would rather be dispirited by the humdrum quality of my writing—and aspire to improve it the next day—than by a number. Numbers carry no real meaning for me, no emotional pull, and I have no desire to feel I have fallen short of a numeric total. If I kept a tally, I might feel compelled to make good the shortfall the following day and in the rush to do so, might be tempted to sacrifice quality for quantity. I have learnt at last that it is valid to be a quiet person. (Dr Seuss lived in a bell-tower and was scared of meeting the children he wrote for.) However, when I was a cripplingly shy, withdrawn child, someone called me rude and anti-social. Wracked with guilt, I spent forty years trying to be extrovert and fun. I really suffered as an adult during the eighties when all the self-help books changed from showing how to build character to how to increase charisma. The workplace became a hotbed of role-play, teamwork and competition—and those spiteful clip-on earrings that really pinched. Writing allows me to celebrate my shyness. I work ay my best alone, but it is only now I am older that I can take pride and pleasure in solitude. In my youth I assumed popularity equalled happiness and wished I could be one of the golden ones. I was mortified to be chosen last when the netball captain picked her team, favouring even the girl who broke her leg and still had the cast on. Very quick on her crutches, she was. Now that writing has brought me greater self-esteem—not the publication part of it, but the act of writing itself—I tuck myself away and live in my own world without compunction. I am enjoying writing novels now, but impulses for short stories often take over. When this happens, I place the novel-in-progress to one side because these sudden ideas appear as if someone has cleared away a pile of earth and there they are, broken stories, like fragments of old china which urgently need me to piece them together. Short stories have a special, tight rhythm and a need for every word to keep to the beat. They are raw moments in time, revealing snapshots of people frozen in a few pages. You leap straight into a short story, smashing its heart open in the first line to reveal its core, and end it with frayed edges—unanswered questions—left to drift. I must admit, when my characters are confronted with nightmarish problems, I relish the surge of power during the rock-hurling—I’m no shrinking violet then. In the evenings, when my family ask about my day, I have, at various times, been able to confirm that I have given an old man with dementia a trip in a car without him leaving his living-room; have awakened Benito Mussolini’s mistress from the dead and transported her to Becontree station; and transmogrified a brash young salesman into a red-necked ostrich. I once wrote a story called ‘The Journey to Everywhere’—which is where I go every day—all from my desk in a corner of the living-room. They say to write what you know, but I like to take what I know and extend it until it becomes something I don’t know. I try to let my mind reach all the way to the outer edge of my knowledge and then use my imagination to stretch further beyond that border until I am hanging my characters from a cliff by their fingertips—while forcing them to take in the view of course. There is nothing to match the sense of possibility that arrives when I reach the edge. It is the place where I meet myself as a stranger, so that I am not a part of the writing, only the infinite panoramas beyond me. I think the characters are the most important part of story-telling. I let them drive the plot and never know what will happen until they show me. The disadvantage of working without an outline is that it can take time for me to locate the heart of the story or novel. I have to wait until I understand the protagonist and, until that happens, I am convinced it will never work and am always on the verge of giving up. It takes staying power—or sheer doggedness—but once I know who is taking me on the journey, then I am with them every step of the way and have the incomparable pleasure of discovering their story as it unfolds. I hope they can engage the reader in the same way and love to hear about the different nuances that others have found within—and between—the words. 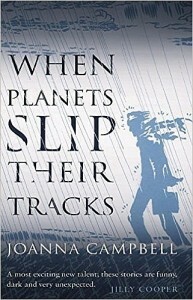 ‘When Planets Slip Their Tracks’ contains twenty-four stories, all glimpses of people battling with disruptions to their normal pattern, and most of which have won prizes or been shortlisted in competitions. As a sample of my writing, I have also published an extra story—‘No Consequence’—on the Stories section of my website. ‘When Planets Slip Their Tracks’ is available to buy from Amazon and you can find out more about me and my writing life on my blog, Twitter or Facebook Author Page. Thank you so much, Jenny, for giving me this wonderful opportunity to talk about my writing. Joanna is a full-time writer from the Cotswolds and her short stories have been published in literary magazines such as The New Writer, Writers’ Forum, The Yellow Room and The Lampeter Review, and in anthologies from Cinnamon Press, Spilling Ink, Earlyworks Press, Unbound Press and Biscuit Publishing, as well as The Salt Anthology of New Writing 2013, both the 2013 and 2014 Rubery Book Award anthologies and the 2010 and 2013 Bristol Short Story Prize anthologies. 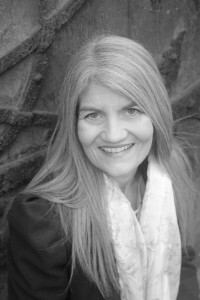 Shortlisted five times for the Bridport Prize and three times for the Fish Prize, she also came second in the 2011 Scottish Writers Association’s contest. In 2012 she was shortlisted in Mitchelstown Literary Society’s William Trevor/Elizabeth Bowen competition and runner-up in 2013. Her stories have won the 2011 Exeter Writers competition, the 2013 Bath Short Story Award Local Prize and the 2015 London Short Story Prize. As a student, Joanna lived in Germany for a year during the time of its division and was moved by the sorrow underlying the stoicism of the people she met there. The construction of literal and figurative walls, and specifically how the Berlin Wall altered the concept of home overnight, sowed the first seed for her debut novel. 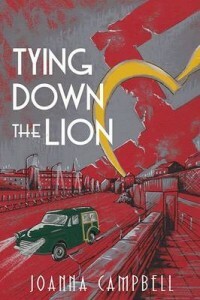 Reflecting both the suffering and the irrepressible spirit of ordinary people living in a country frozen by the Cold War, it began as a short story and grew into Tying Down The Lion, published by Brick Lane in 2015. Ink Tears Press published her first short story collection, When Planets Slip Their Tracks, in January 2016. Her second novel, Estuary Road, which is about the way our lives can unravel in a split second, is currently with her agent, Elise Dillsworth. An excellent blog- many thanks for visiting today Joanna. Thank you so much, Jenny, for giving me such a lovely opportunity to talk about my writing life. I really enjoyed it and, however much I love writing short stories and novels, it was good to surface from fiction, drift back into the past few years and dwell on the process of writing itself. What a fascinating journey, Joanna. I hadn’t realised it began so (relatively) recently as I’ve been reading and enjoying your wonderful stories for years. And I’m so pleased to hear you procrastinate too as that’s one of my problems! Really admire the fact you’ve always written to improve rather than to succeed and I think that philosophy shows in the quail of your work. So pleased you’ve achieved great success along the way.